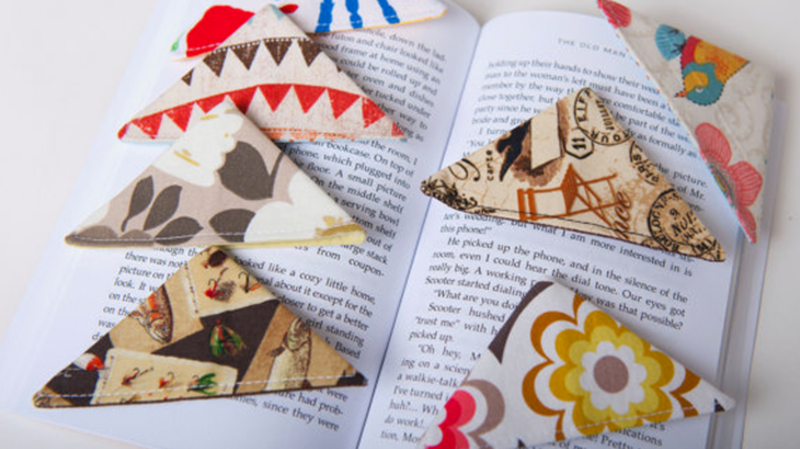 Save your place in style with these fun, untraditional bookmarks. Don’t fold down page corners! These bookmarks, which are made of cotton fabric and a stablizer, slip right over the corner to save your place. Appropriate for fans of books, puns, and Sir Mix-a-Lot. Your cat probably spends a lot of time sitting on your books, and now, you can put him in it. Etsy artisan WhiteHouseBlackCat uses a photo of your cat to create a clay sculpture of his back end, which she attaches onto a paperboard to make an awesome custom bookmark. These intricate skylines—which include London, Paris, New York, Rome, Dubai, and more—are handcut and laminated for durability. These delicious looking placeholders are handmade using plasticized cardstock and magnets. You pick what it says, what color wire it comes in, and which page hook (among your choices: heart, clover, swirl, cat, apple, crown, bird) you want, and bam! One-of-a-kind bookmark sure to delight any bibliophile. It’s hard to get cuter than these crochet character bookmarks, whose heads protrude from the top of the book to mark where you left off. The attention to detail is amazing: The Cowardly Lion has a silver badge of courage, the Mad Hatter is holding a teapot, and the wolf that ate Little Red Riding Hood’s granny has glasses on his nose. These key-inspired bookmarks are made of faux suede and come in sets of two. This bookmark is made of an actual vintage teaspoon. Each one is made to order, so the style of spoon varies, and the hand-stamped messages can be customized.